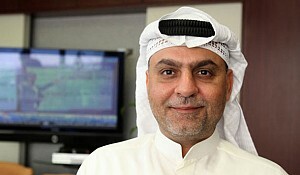 Interview with Dr. Osama J. Bukhamseen, Vice Chairman of Bukhamseen Group. We welcome you to Kuwait. Hopefully, you’ll be interested in the work we are doing and maybe this will attract you to come back again to speak to more investors or interested partners. Furthermore, I hope that you will keep an eye on the country’s next stages in terms of research and other activities and that every time you come back there will be better and better developments. Could you give us a brief overview of the Kuwaiti economy? First of all, let’s talk about Kuwait as a country. Kuwait has always stood for business, even before the oil sector. So, Kuwaitis themselves have business achievements and goals in their instincts. Kuwait has done a very good job in the establishment process by having very strong by-laws to protect the country, its investors – local and foreign, and its people; it’s a strong infrastructure for guaranteeing ownership, land deeds, etc. In terms of investment, this is always very healthy and very professional in order to guarantee ownership for land deeds. So, this is very advanced compared to some of the countries in the Gulf. It’s always different to invest in a project that includes a land deed so at the end you own the project, which is different to investing a project that involves government ownership meaning you’ll always be subject to government approval in the future. Another important aspect is the nature of the country, being in the centre of the Gulf area: in the north there is Iraq, which is a booming market and maybe Iran as well, and in the south there is Saudi Arabia, Qatar, etc. So this is a prime location. Its natural resources, such as its coastland, give it a very good opportunity for future developments. The third aspect of Kuwait that is very important is the social life itself, because whatever you are investing in, whether it is a hotel, a touristic project or a mall, if you are attracting tourism you want to have a strong social life.We have a very open-minded life in Kuwait; people go out, they dress very well, if you go to the mall you see awareness in people respecting branding in clothing, or quality of foods, so branding works very well here. There are 1.2 million Kuwaitis here, and out of this population a large percentage is educated. Now let's talk about real estate. 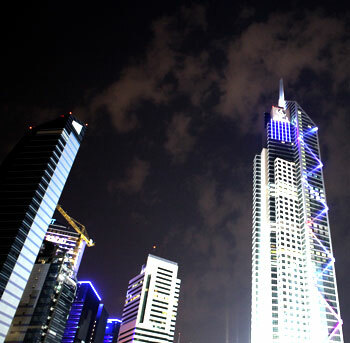 The real estate market has been suffering, of course, due to the international crisis, but we can still see so much construction happening – there are still skyscrapers: the tallest tower in Kuwait, Al Hamra, has just recently been opened and there are other towers being built. Bukhamseen is building a 70-storey high-rise tower in Kuwait whereby still we’ve been seeing so much about the hotel operators involved, still we haven’t decided on that yet. 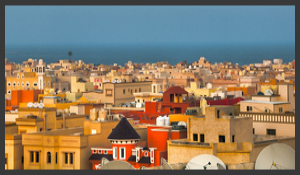 The real estate market in Kuwait is divided into three different sectors: commercial, residential and housing. Housing has always been in demand. The commercial and residential sectors have also been attracting much attention, especially residential because after the crisis happened bonds and deposits as bank returns were not very attractive, so many started to look for other investments and one of them was real estate. I think real estate is still underdeveloped, because the government is also involved in the decision-making process and this sometimes makes it slow to develop by-laws. This has slightly delayed some future ideas, but I think there are new things coming in. In the down town area, we are proud to see many buildings rising with between 40 and 70 floors. In terms of residential projects, the private sector proposes many ideas to the government, but as I said, the process of decision making is very slow in this country and I think Kuwait has to seriously think about how to develop major projects. For more than 10 years now, Kuwait has been discussing, rethinking and evaluating; there were so many projects either tendered from the government or proposed by the private sector, but it took a while for them to find a by-law that decides how the relationship could work out between the private sector and the government. We think 2012 may be the last year of the suffering that we have gone through since 2008. When they did establish a by-law, they didn’t take it to the production stage, so there are many projects that have been delayed. I am optimistic that it will happen one day; the only problem that I’m so upset about is the long delays. For example, if we look at how many Kuwaiti investments there are in other countries, in Dubai, I think the number released a few years ago was more than 10 billion KD, which is about $30 billion, and that’s a very big number if you consider how that money would affect the real estate market, the stock exchange market, the retail market, and others in Kuwait. There is so much power in this country: Kuwaiti education, experience, and history. When we did research on the Failaka Island, we found so much history there that goes back to the 16th Century. What we are missing in this country is the decision-making powers; we need a strong and educated parliament. I don’t mean that all the parliament members are not educated, but they are busy with very small things and are away from Kuwait talking about personal issues. Unfortunately, everybody has forgotten about the importance of the country; when the country was “designed” in the 60s and 70s, it was the leading country in the Gulf because there were reliable decision-makers in the parliament and government who played a very important role and even today we still benefit from what they have done: the master plan. The base and infrastructure of the country is strong because of them. When the by-laws had to be changed to involve buildings of 100 storeys, Bukhamseen as the private sector had to convince the government to do it, it wasn’t the government who devised this idea. The government has been very slow in developing and creating a country that can compete with others. I’m still optimistic, I think the parliament has involved so much of its time in many important but not critical issues and I think soon they will realize that Kuwait is still suffering and give it their attention. In the government, we are happy to see that there is some development and new members coming in – the process of developing the relationship between the parliament and government in a way for them to talk about their problems and find solutions demonstrates this. I think where we’re standing today politically is much better than years ago. There is still a lot to change, but we are advancing. Things could change if, one day, ministers start asking themselves why we can’t do a megaproject or use the seashores and do a touristic megaproject or build the tallest towers in the world and the biggest hotels or use our resources. Around 95% of Kuwait is unused land, if we could just use 5% of that, the private sector could do wonders.We could even make Kuwait green again. I’m talking about man-made islands, highways, cities in the desert, and entertainment. Bukhamseen has been involved in more than 10 megaprojects that have been presented to the government and they have been left on the desks of officials along with many other private companies’ projects. Those projects are big enough to attract investors, create jobs and opportunities, or even reduce foreign spending. Many people have left the country and are either in Europe or the rest of the Gulf; that spending could be used in Kuwait and could create the dynamic cycle of investment. Kuwaitis are very well educated and they want to live like in any other modern country. So, there is a lot to be done, and hopefully one day we will see the change that we are waiting for; the private sector is ready, there are plenty of financial resources, even with the crisis, and Kuwaitis are investing everywhere except Kuwait. 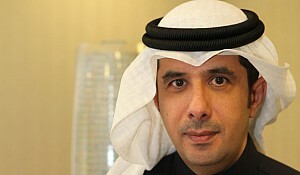 In terms of the involvement of the Bukhamseen group, after the 2008 crisis Bukhamseen tried to concentrate more on Kuwait. The Bukhamseen group owns a lot of empty land and an agenda was set to develop it. Of course, during the crisis, this had to slow down a bit because of the lending process of the banks and the market; there were a lot of difficulties and today we are still going through tough times. Some companies in Kuwait are still struggling to survive and maybe bankruptcy still might happen in 2012. However, Bukhamseen is concentrating on its projects and we just completed four office towers in the city of Kuwait. Bukhamseen group sees itself as leaders in the office industry and we build 30 and 40-storey buildings. We have a tower that is being developed now and is projected to open at the beginning of 2013. This tower is called the Crystal Tower and it has won two awards already, being the best architectural design in Kuwait. It is on Derwazat Abdul Razak. It’s not a very big project, it’s only 50 storeys high, but the design is very unique: it has an atrium in the middle of the building called the Sky Atrium and there is a hollow rectangle through the building like a tunnel. Bukhamseen called it Crystal Tower because the edges are like a crystal. This building belongs to a sister company of the group called Arab Real Estate. Bukhamseen group sets its projects in different stages so that we concentrate on one at a time. The next project that we are working on is the 70-storey hotel called The Hotel and Towers; it is a mixed-use building that includes a hotel and offices. It’s going to be the highest hotel in Kuwait and will be in the Downtown area. The footprint of the building is more than 35,000 sq. 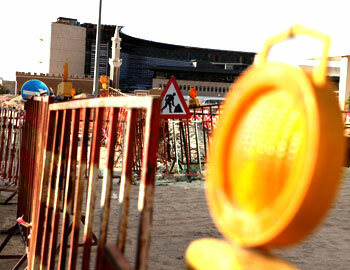 ft. and it will be comprised of around 45 storeys of offices and around 25 storeys for the hotel. We believe the hotel industry in Kuwait, which we have been involved in for almost 30 years, is still promising for whoever has been involved in this sector for a long time, not for beginners. Along with other hotels, the Crowne Plaza extension we are developing will cause the hotel to reach around 700 keys, making it the largest hotel in Kuwait. The opening of the biggest ballroom in Kuwait is in about a month’s time. This project is going to become a hotel and convention centre. Bukhamseen has done other extension projects as well, such as the Holiday Inn Salmiya hotel, which we converted from a residential compound to a hotel. That was a challenge. We have finished the second stage and we are working on the third and fourth stages now. Bukhamseen has also built hotels in Dubai, Sharjah and Syria. Bukhamseen is one of the pioneers of hotels that are involved in the Islamic tourism industry, which is a very big industry. Makkah was developed, of course, a long time ago, but there are some other religious locations that weren’t looked at very well by the investors. One of these, which we did a very good job on – hopefully the political issues of Syria now won’t affect it too much – was the Safir Hotel in Damascus, which is next to Al Sayedah Zeinab. This is a religious point where there is a lot of Islamic tourism and there weren’t many developments there. So, we were the pioneers – everybody was afraid to go to Syria, and I guess it is clear today why they weren’t interested. However, we took that challenge and we were successful with the government. The Islamic tourism industry requires investors that have strong beliefs and are very dynamic to cut deals with governments. Bukhamseen group was successful in Syria, and the next stages are Iran, Iraq and maybe other countries. In Iran we are still looking into opportunities, but in Iraq we have started already: we were awarded a project from the government and it is also a new challenge for us to start in Iraq where everybody still has projects on hold. We took that step and we are at a very good stage in the project. Bukhamseen group is building in Al Najaf. Al Najaf conveniently has an airport already, which was also created by Kuwaiti investors. Al Najaf has the Imam Ali shrine, which is a very important destination for all Muslims – Shi’a Muslims and other Muslims, as well. This location has never been developed to a standard where religious and Islamic tourists can actually practice, so our development there will cover up to 40,000 sq. ft. of land and involve two hotels – 4 and 5 star – and a shopping mall. It is only 700 meters away from the Imam Ali mosque – the religious point. We think that this is going to be one of the main projects that will open the gateway for us, as well as others. Iraq is a virgin market and there is a lot to be done there other than hotels, but perhaps what we have started might attract other investors to come in. This hotel should be open for visitors in two or three years, if everything goes smoothly. We are working on many others, of course. The Bukhamseen group is involved in different sectors: banking, insurance, etc. The Bukhamseen group founder has built around 400 buildings in this country since the 70s when it was founded here. There are always different kinds of investment, such as the media, food and beverage, and hotels. In the future, we might also be building a very big mall similar to the size of The Avenues mall in Kuwait City, which we are still discussing with the government. It would be close to the airport. 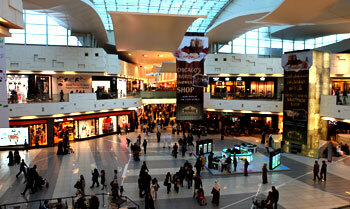 We believe the market is not yet saturated in Kuwait, even after the opening of The Avenues mall and The 360° mall. Bukhamseen as developers have a very strong impression that Kuwait is hungry for much more. It’s not just the country, but also the lifestyle of Kuwait that requires more open areas – indoor, of course – such as cafes and other social and entertainment services, especially in a country where there isn’t much nightlife. We have drawn up designs for the project and we are still working on it – we call it The Mall Project. One day, hopefully, we will see it accomplished. How much does real estate contribute to the Bukhamseen group's overall turnover? How important is real estate to the group? Real estate is prominent in the group’s investments because of its value. It started at almost 50%, but because of market pricing of stocks it makes a difference, so this cycle is changing every day. The projects that we have on our agenda to be developed in the next five years will be worth more than half a billion Kuwaiti Dinars. So, this is what we are working on. As for revenues, it is not the right time to talk about them because the market is suffering. There is still a big problem that Kuwait is suffering from – the lending process in Kuwait was very difficult during the crisis. The Central bank of Kuwait, being very tough in controlling the market, made it very difficult for the economy to recover during this time. Banks almost stopped lending and added so many conditions that it made it almost impossible to qualify for a loan. Whatever you see around you being developed, it wasn’t easy for the developers to proceed; many projects were delayed because of these issues. We do hear some good news about the lending process being loosened up a little bit; there is a new central bank chairman now and we don’t know how that will change the situation. This crisis affected Kuwait very badly. Other governments took steps and injected cash, but Kuwait’s status as a democratic country sometimes makes it difficult to proceed. Democracy in this country has been understood differently. Democracy should be for the people and the country, but democracy came for some of the people and against the country and the economy. Many factors are involved in this, including the lack of experience and education of some parliament members to understand what they should be doing regarding the economy. They have really made Kuwait go through so much suffering. If this democracy was professionally operated, you would have seen ten times what you see in Kuwait now. There is so much power in this country, but they can’t exercise it. These powers are not only financial; there is still a lot of money, but people are so afraid to put their money in the country, they either deposit it in Kuwait or out of the country. The country’s other powers are history – or experience - and education. Kuwaitis can do wonders, but the by-laws, parliament and the central bank made it difficult. If this by-law itself was ever approved, you would have seen wonders. This by-law is enough to make Kuwait boom. Imagine what could happen if you created 10 palm projects in Kuwait, like in Dubai; built towers like Burj al Arab; utilized the desert that we have, for which we proposed challenging ideas like bringing water in and creating islands; created islands on the shore; and built villas, chalets and parks. There’s a lot to be done, but everything has been put on hold and the government is afraid to take steps; they are afraid of the parliament. This cycle is not productive. So, we, in Kuwait, are really suffering, but I’m still optimistic and we are working very hard. As a final example, the towers that you see around you aren’t the result of government officials being proactive; rather, it was the private sector that had to convince them that the by-laws are old. Some countries are professional enough to think about their by-laws and develop them from time to time, but this is not happening in Kuwait due to a lack of experience or fear to talk about it. So, due to perseverance from the private sector, today we’re able to see some skyscrapers like Al Hamra and our 70-storey project, and we’re happy to see it. Even graveyards are obsolete in terms of age. The private sector even proposed projects for this, such as creating a park on top of it. According to the principles, every fifty years you are allowed to re-shovel it or do something about it. We even talked about creating parking or a landscape point above it, instead of having a graveyard which has been the same for almost 50 years now. There’s a lot to be done. Hopefully, one day they will grow up. I have done a few interviews and the way I describe our relationship with the government is like children going through stages in their lives: childhood, then teenagers, then young men. Parliament has taken a long time from being kids, shouting and struggling, to now, when I think they are just coming out of the teenage stage. In the future, they might be grown ups and more responsible of what positions and procedures they should take. Would you also like to speak of the Bukhamseen insurance business? I will just give a brief overview. Bukhamseen is lucky as a group to be involved in the service industry. The service industry, because it is considered a service, was not highly affected by the economic crisis. When I talk about service, I talk about things that you need to live; you have to have food and beverage, insurance, banks, etc. Real estate has suffered a lot – the prices went down almost 50% - and stocks went down even more. All sectors that are publically listed suffered because of the market price, but the service industry was the best way to balance during the crisis and make up for other sectors' defects. Those services, including the banks and insurance sector, were kind of promising even through the crisis. So, the diversification of the Bukhamseen group was healthy. Finally, what is your vision for the Bukhamseen group and what are your financial expectations? How is Bukhamseen family facing globalization as a family group? The group has of course gone through some difficult times because of the financial issues. As I said earlier, Bukhamseen has always been pioneers in real estate. Real estate has its benefits, but disadvantages as well. The benefit of being an investor in real estate is that it you always have a strong asset, which might help you to get loans or for your balance sheet at the end of the day to be strong. Even with the crisis happening, real estate will always have a fair value coming up from the market construction cost and land cost. It does depreciate a lot during crises, but it always has a strong basic value. The disadvantage of real estate is that it is a long-term investment, which makes it difficult to make profits and it takes a while. Because we had so many properties either undeveloped or being developed during the crisis, this made it even more difficult for us to proceed. As I told you earlier, this meant Bukhamseen had to put some projects into other stages. So, this is how we accomplished a balance between finance and investments in real estate. I believe our situation is good compared to many others who are suffering more. Bukhamseen group has strong assets to back the group up and we think 2012 may be the last year of the suffering that we have gone through since 2008. We are optimistic that, as far as Bukhamseen group is concerned, 2013 will be a very good year for many achievements and revalued assets and balance sheets. Maybe next year when we meet you guys we will be able to talk about numbers, but now we'd rather talk without numbers. About Islamic tourism, it is outside of Kuwait, in Syria, Iraq and Iran. It is a virgin market and has been kind of forgotten, and that's why we're going there. The ones that have always been given attention are the important ones – Makkah and Madinah – but still there are others. Just to give you an idea, last time I went to Imam Hussein in Iraq, which is a religious point mostly known for Shi'a Muslims, I met the officials involved in those mosques and they told me they were shocked to see not only Muslims, but also non-Muslims. The amount of Islamic tourism there is major, and we even saw Germans coming to Iraq and they were very interested. Once the infrastructure is well done, I think it will attract much more attention. It's like the internet today; it helped so many societies, cultures and religions around the world to talk about each other. People are open to each other now and they can talk. I think it's something very healthy. Things are changing and the upcoming generations are more educated than the older generations. 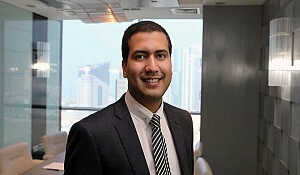 Real Estate Sector in Kuwait: "Real Estate Always a Hot Investment"